All of our bedrooms are very spacious with queen size beds and families may be accommodated in our double double bedded rooms or a room with one double bed and a sofa bed. Pets are not accepted. Tickets can be used at any 3 of the 10 attractions; no need to decide on attraction choice before you arrive. Stay, Play and Explore package can only be booked through www.stayplayexplore.co.uk in order for tickets to be generated. Check in is from 3pm (early arrival subject to availability) but luggage drop off and ticket pick up is available any time on the day of arrival. Check out is at 12 noon. The hotel operates chargeable car parking at £5 per night for residents. If staying on the Stay Play and Explore Family Fun package then parking charges are included in the package. Situated in the heart of England just off Junction 21 of M1 motorway. 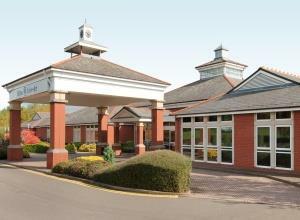 Within easy reach of Leicester city centre and both Birmingham and East Midlands Airports.